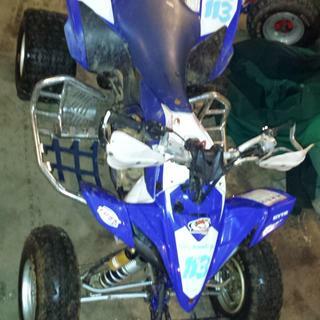 3 plate kit includes 1 plate for the front end and 2 plates for the rear fenders. Made from durable 14mil scratch resistant laminated vinyl. 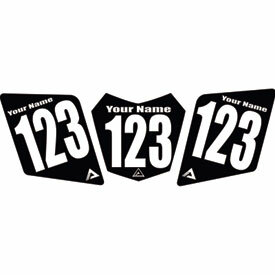 Includes free mini front number plate decal. Great price, Easy to install, looks great. 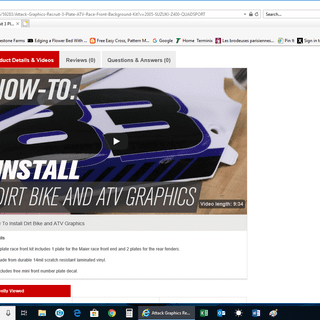 Very easy to install graphics, no need for the kit they try to sell you though. The price is the biggest selling point for this product. They did however forget to put my name on the kit I ordered. 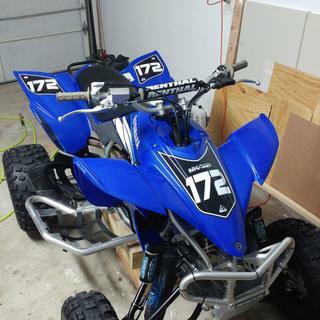 But Rocky Mountain ATV mc is a execellent company for there willingness to help in any Custer support. It took one phone call no hold time and maybe 10 minutes and they where sending me a brand new kit with the correction made. They even let me keep the kit that wasn’t correct. Great priced product awesome company to order anything from they give you peace of mind. 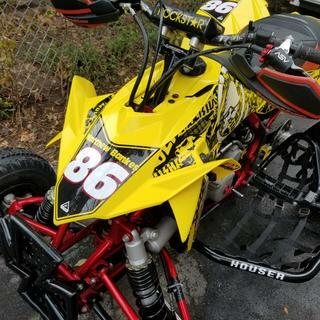 Over the last several years I have order several of the 3 plate race sets for several LTZ400's we race. Each one has always come with the Maier Race front number plates. 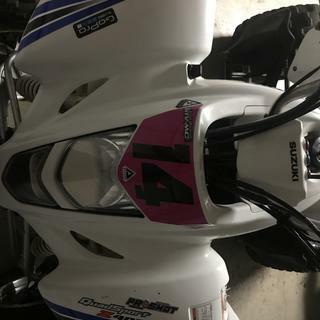 When I purchased this the first page that pops up when you click on this said it came with the Maier race front plate (see photo). 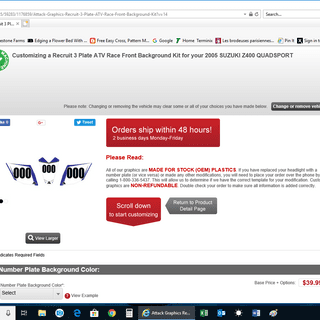 BUT when you click on the Customize tape the screen that pops up has "Please Read" statement that says it is made for the OEM plastic and you need to call if you are using different plastics (see photo). Had to order these at the last minute 4 days before my first race.had 2 day shipping,they arrived with time to spare.Very good quality ,look great,very pleased. High quality material and good overall graphics, great price! These are great graphics printed on high quality material. The fit is great and overall I would definitely recommend. The only downside is that they are not the most stylish graphics but for the price they cannot be beat. These are very very thick. I am very happy with them they are just what I wanted. Shipping was quick too. Happy overall with purchasing. Good product for the price, and received them quickly. Good graphics. Look good and also are thick and durable. Even with the pressure washer that stay on. They look great, but the color swatch "blue" isn't as accurate as I had hoped. So it didn't match my frame as well as I expected. They look great, but the color swatch "blue" isn't as accurate as I had hoped. So it didn't match my frame as well as I expected. Pinstripes were off in a few places. 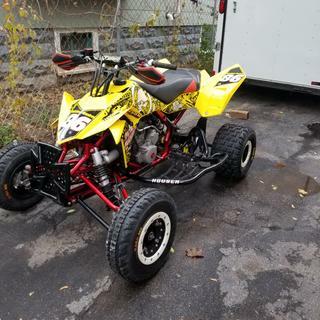 We were looking for graphics to add to our quad and this fit and look nice. Just what we were looking for! I've ordered multiple sets of these for the quad and the trailer. They hold up awesome for the price you can't get anything better. Bought a set for my son's quad and the quality and design is top notch. 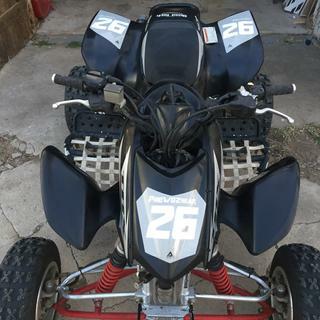 Bought a second set for my own quad. Great value! I highly recommend to anyone wanting to buy stickers for their bikes. Very awesome and durable stickers. Very happy with these graphics. Very thick vinyl, easy to apply without any air bubbles. Very good options. Colors are true. Sticker is very think and has been pressure washed many times with no peeling or damage. 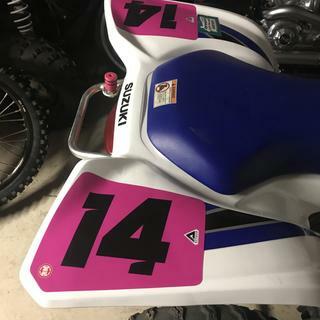 Only issue i had was i ordered one for a quad tech hood for an 05 trx450r and was told they had the template for it, but the cut pattern was wrong when i got it. Pressed for time i shaped it myself to make it look good and it worked out. 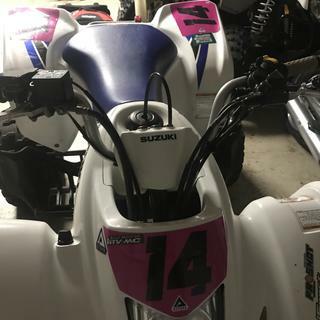 My son and I have purchased three sets of number plates for three Honda TRX 450R's. We have several seasons on them and they are very durable,easily cleaned, and look very professional. When they arrive they are very well packaged and have very easily followed mounting instructions. A very good product and reasonably priced. <br>The graphics arrived with a lot of line overruns and just a bad alignment overall.. After writing my review was contacted by rmatv to try and correct the issue. Just got a call from attack graphics and they are going to make it right. Im glad because i was going to have pull all my other attack graphics stuff off my bike!!! I am very happy to say, dont hesitate to buy. Gave four stars only because the front decal could be a better shape the match front nose cone. Other than that they look good and have stayed on for many XC races and still look good. The number plates fit perfect and lasted a long time. They look pretty good and seem to be holding up to wear and tear. I was impressed with these background numbers, they look great they stick on easy no worries at all. I'm getting another set shortly. These graphics are much better quality than I expected. They are very thick and held up to an entire year of racing and heavy pressure washer abuse. I'll buy them again when I need another set. The shipping time was very fast also. Numbers look amazing, and they are exactly how I ordered them. They actually arrived 2 days before they were suppose to which was awesome! 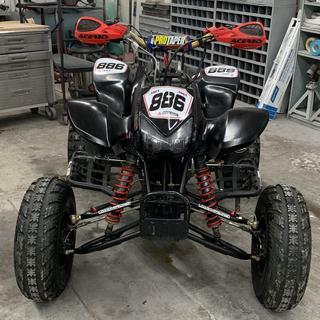 Thanks Rocky Mountain ATV/MC!!! This kit is great!!!!!! It looks very professional and is amazing in quality. Makes the quad look a million times better. Thanks!!! You can make these however you want. highly recommend. These things look sharp and are very thick which makes them hard to rip.